BACON (Bekon) Co., Ltd., a festival of summer festivals “Festival holiday exhibition” joint photo & merchandise exhibition gathering popular cat creator who mobilized more than 450,000 people, Friday, July 27, 2018, ~ August 26 (Sun) held at TODAYS GALLERY STUDIO (Tokyo · Asakusabashi). We are pleased to announce that new information such as exhibition of healing 3D objects from collaboration project with popular writer, details of entry fee for 3,333 people limitation was decided. 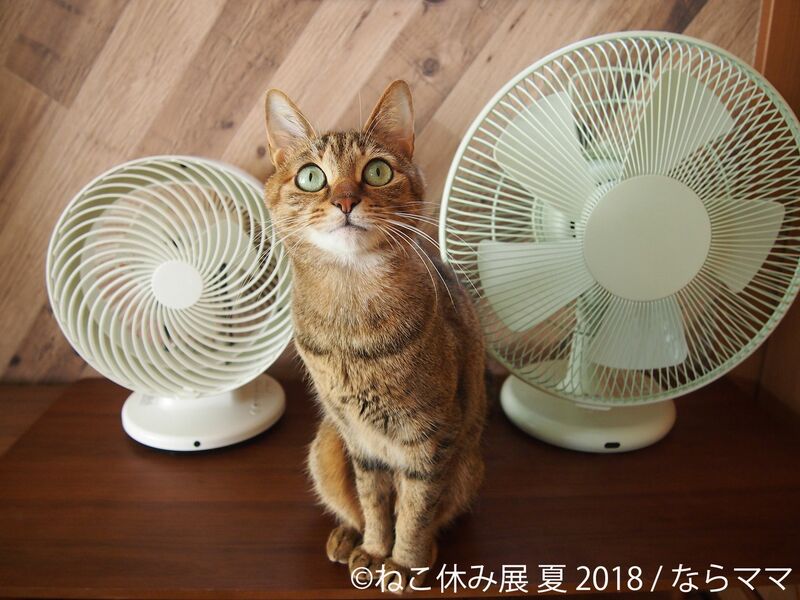 * Visitor benefits will give you a fan of Hui’s pattern of popular star cat for the first time arrival of 3,333 people after the third anniversary. At the main festival held only twice a year in Tokyo and Asakusabashi, exhibited works are also based on new work. Popular participating creators who have more than 3 million followers will exhibit summer-like works narrowing more than 300 places. As a new writer, “Mikan and Jiro” (@ jirosan77) boasting more than 100,000 followers on Twitter will appear at the first exhibition / first exhibition. In addition, venue limited goods are full of highlights including pop-up shop second popular sketch by Skog Marknad on the theme of “Magical Country”, popular creators lights, skillfulness of Fukushima and collaborative goods of star cats! In addition, we will release limited interior Fu chan ver, cat-chan ver, acorn ver and popular collaboration stuffed animal which is said to be the latest “Mofumofu” in limited festival. First appearance and the first collaboration are limited quantities so do not miss it! Among them, the acrylic key holder with goron and whipped whipping is a gem that you can taste Hui main feeling when you put it on your thumb and forefinger. ■ Star Cats Collaboration Series & Popular New Goods The 2nd ban is lifted! It is decided to hold the second pop-up store to be drawn collaborating with the star cat! The theme of the latest work is limited edition of original goods titled “Magical Country”. 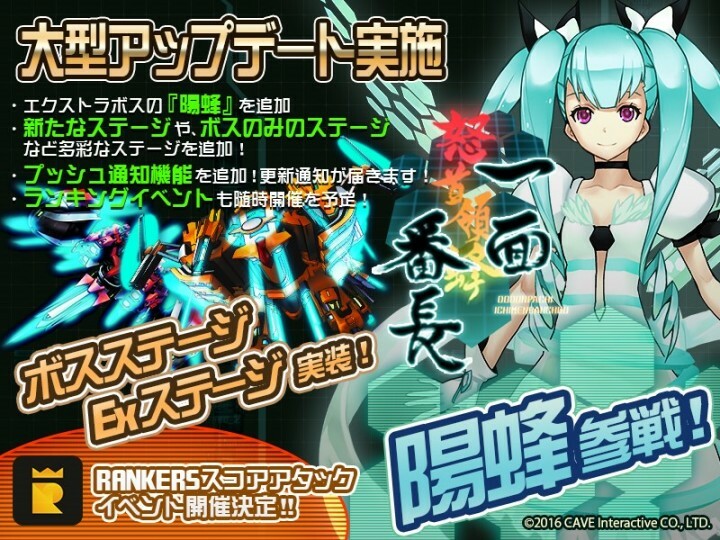 Star collaboration collaboration that collaborated with popular deaf collaboration 10th new appearance! New work goods which collaborated with Nagomu of the latest work are also displayed! ■ Cut hair loss work also enters a new area! What? “Cat type clone” appears! What? Popular rojiman art work produced with cat’s hair loss, challenge new life-sized cat work! The work of love cat “Maru” is in an atmosphere that seems to start moving even now. Art galleries produced with 100% hair loss can be enjoyed at the venue. 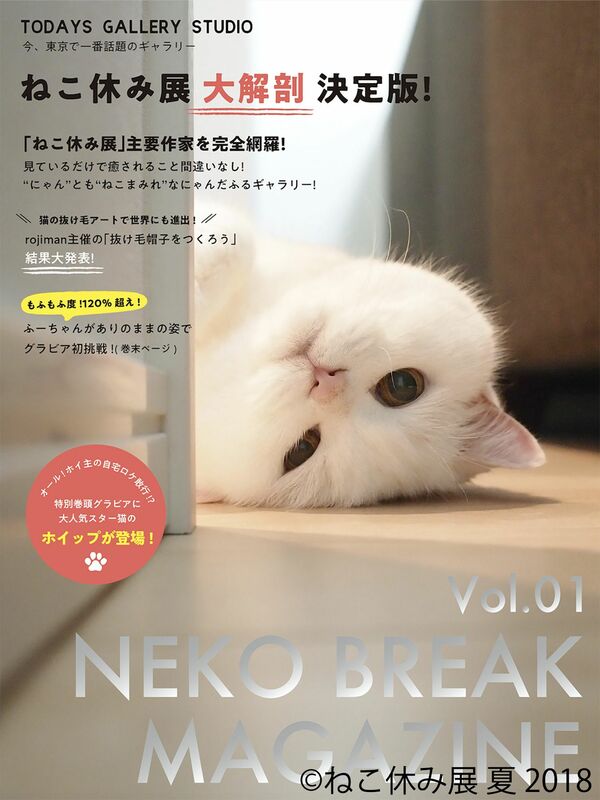 ■ The official catalog is the newly launched “Magazine Magazine”, a magazine-like design! What? The official catalog was updated in the second half of 2018 version. Like a fashion magazine, like an information magazine somewhere familiar like a magazine-like cat-rest world to the original design full-open. Of course, the topics are also excellent, such as recommended items and column stories, as well as posting of works by all writers. Admission: 500 yen / admission free for adults under 3 years Exhibitor: 32 pairs Organizer: BACON Co., Ltd.
■ TODAYS GALLERY STUDIO official online store open! “TODAYS GALLERY STUDIO” has set up a real shop in Asakusabashi, Tokyo, since July 2014 and has sold original items of the exhibition exhibition. In the future, in addition to real stores, we will deliver the products to customers nationwide through shops. It will be handled only for collaborative goods which could only be purchased at the venue for the first time. ■ BACON Co., Ltd. is proposing an exhibition plan aimed at holding and proposing high-quality exhibitions domestically and overseas, promoting activities, increasing the number of customers to attract, and improving images. Produce planning events from negotiations with writers to interior decorations, exhibition layouts, prints of works, advertisements and publicity. 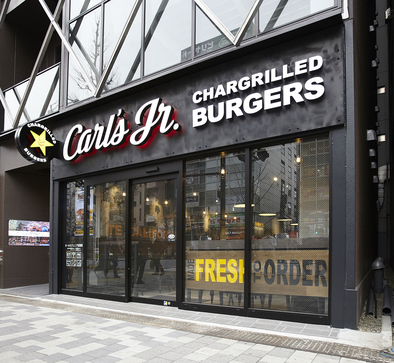 Opened in Asakusabashi in July 2014. For the purpose of sending arts, I am handling numerous projects such as ‘Ambiguity ☆ Bishoujo Art Exhibition’, ‘Factory Nightscape Exhibition that I can Go to the Ruins VS to Change’, ‘Nose Pecha Exhibition’. In the 2016 GW held “Futomoto photos world exhibition”, more than 20,000 visitors were recorded. 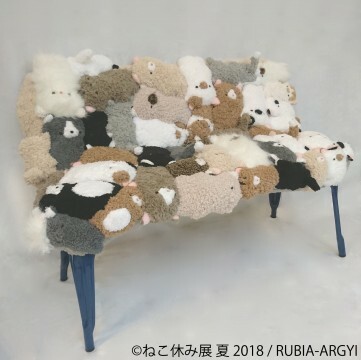 A representative project “cat resting” is the most talked-about galleries in Tokyo, including regional holdings, the number of visitors has surpassed 450,000 visitors in 2 years. We opened a permanent gallery in Nagoya in September 2017. All planning and planning is done by Creative Director Hiroki Asaoka. Popular anime “probably Matsu” and “smile × animate Cafe”‘s first collaboration! Together with INDIA, Inc. SNK Corporation and Akihabara launching “New Monodzukuri”, we announce the opening of NEOGEO LAND Limited Shop in AKIBA for a limited time event! Actually this is a cake. Entrance front eateries series latest work “sukiyaki cake” on sale! ! TV anime “hundred” x maid Cafe in Akihabara “@ that’s right-including Cafe” of held special campaign! Public viewing of DAZN Presents at Akihabara UDX Vision held!